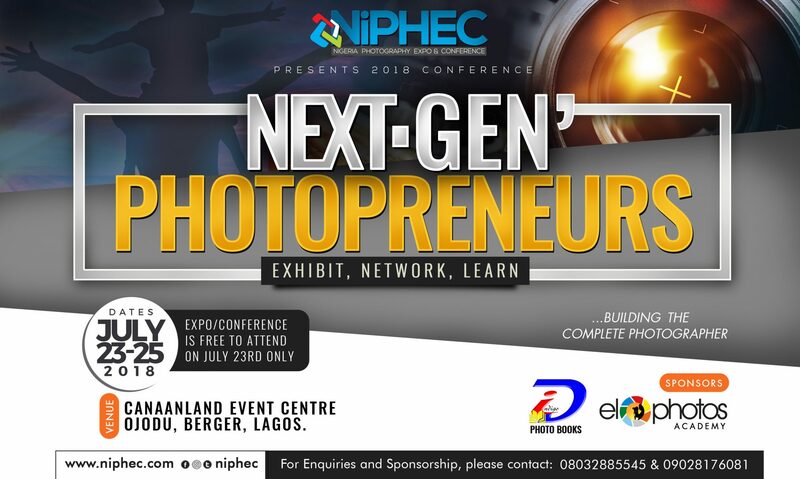 Once again, thank you for registering for NiPHEC 2017. We are excitedly looking forward to hosting you. Due to the increased number of participants and in other to serve you better, some venues were changed to accommodate more participants benefiting from this event. Attached to this mail are the venues of sessions and classes holding in the conference. Please go through and note the scheduled venue for the session or class you registered for. Also, we advice you come along with some funds to buy photography resources and refreshments as it will be a full day event. 1. Warri: 1, Angle Park by word of life Church, Ajamimogha, Warri. 3. Aba: First class lab. 6, Park Road, Aba, Abia State. 4. Osun: Freedom Park beside Police station, Oshogbo Osun. 7. Ifo: Folam filling station at Folam bus stop, IFO. 10. Ikeja : Xds Lab. 116, Awolowo way, opposite Zenith Bank Ikeja. 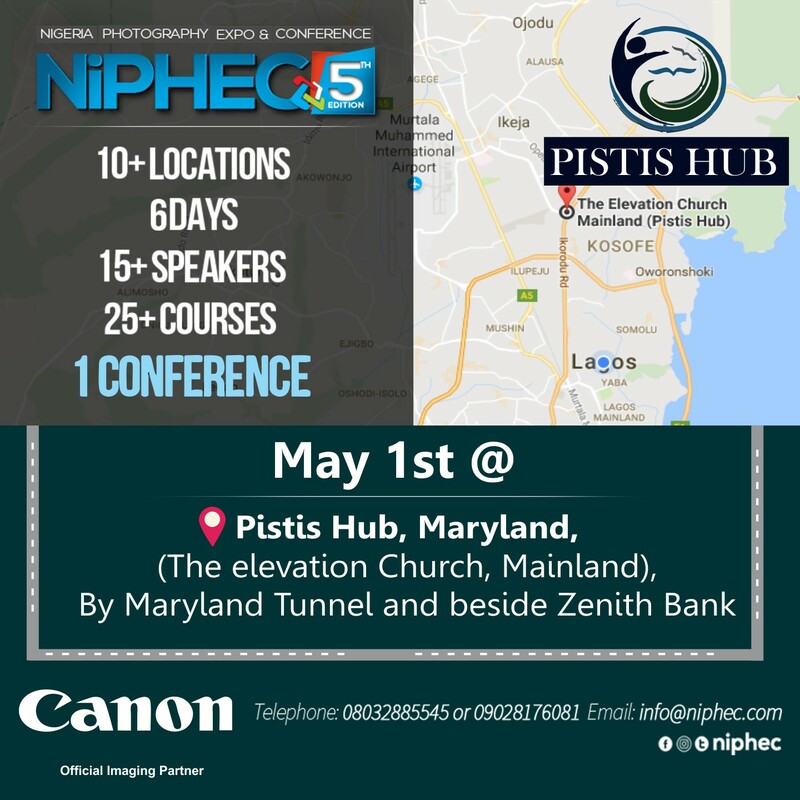 Pistis Hub, Maryland (The Elevation Church, Mainland), besides Mr Biggs & Zenith Bank, Maryland Bus stop. 2. Ibadan: Suite 2 leadership development centre opposite NICON house, Molete Ibadan. 5. Abuja: Big H Studios; Ojimadu Nwaeze House POW Mafemi Crescent off Solomon Lar Road, Jabi utako. 23, Ijeja idi isin, Olorepapo Cooperative House, Via St. Andrew Anglican church Ibara Omida, Abeokuta. PTPP, BASP, DYPG, ARPH, PGIP, MSIP, PWSB – LCCI Conference and Exhibition Centre. 10, Nurudeen Olowopopo Street, behind M.K.O Abiola Gardens Alausa Ikeja. LIPO & WPBA – Big H Studios; Ojimadu Nwaeze House POW Mafemi Crescent off Solomon Lar Road, Jabi utako. FALE, VPUD, PSCA, GTLP, WASB, OCLS, MAPB – LCCI Conference and Exhibition Centre. 10, Nurudeen Olowopopo Street, behind M.K.O Abiola Gardens Alausa Ikeja. EVIP, PORT, C360, BPED, PCSS, SYPO, BEFB – LCCI Conference and Exhibition Centre. 10, Nurudeen Olowopopo Street, behind M.K.O Abiola Gardens Alausa Ikeja. CAMP, BPMA, SMPN, C360 – eloPhotos Studio. 2nd floor, 42, Kayode Street, off Ijaiye Road, Ogba Ikeja, Lagos. thank you for this email God bless you, dor it came late because am just seeing it i want to attend am interested. But hope it is free and i need you to tell me the time to each thanks.